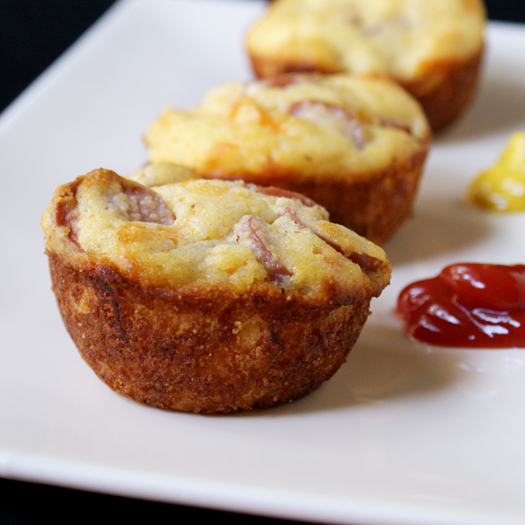 Corn Dog Muffins are a quick and easy dinner that the whole family loves, made with turkey dogs, sharp cheddar cheese and pickled jalapenos. Kids dig corn dogs. Hot dogs in general, really. I've never been too keen on buying hot dogs though, and I can pretty much guarantee you'll never see my putting a box of frozen corn dogs into my shopping cart. They just never screamed, "Buy me, I'm delicious!" I decided to add turkey dogs to my grocery list around the time when my daughter started turning her nose up to proteins. After searching for some recipes to dress up the dogs a little, I came across a recipe similar to this one on allrecipes.com. Corn Dog Muffins! Sounded like a winner when I glanced over the ingredients list. I was sure my two year old would scarf them down. But, how was I going to sell this one to my husband? I was afraid a muffin with hot dogs in it for dinner wasn't going to go over too well. Then it dawned on me....jalapeños. Introducing jalapeños to this seemingly "kids only" recipe would surely elevate them to husband worthy status. And I was right. He ate them, she ate them and I was one happy momma. This is probably the easiest and quickest cooking recipe in my repertoire. Nothing fancy about this one, that's for sure. But, less time in the kitchen means more time kick back and relax with my family. That works for me. 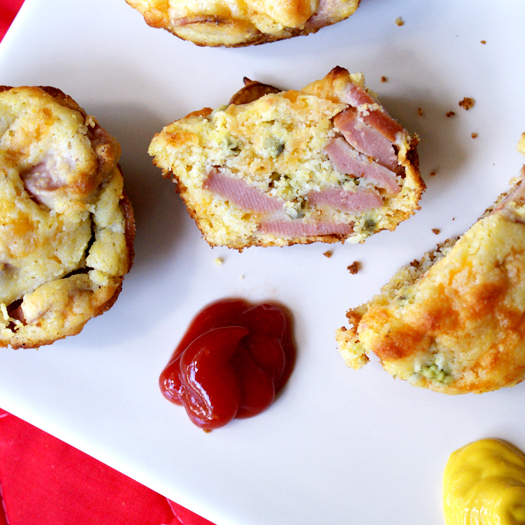 Grease a 12 serving muffin tin. 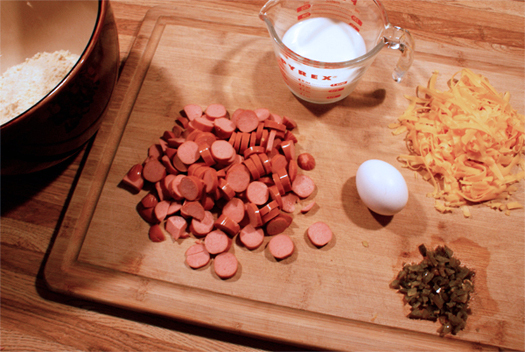 In a large bowl, stir together all of the ingredients. Bake for 14-18 minutes or until golden brown.